Apollo missions were intensively monitored from Earth. Because they had deep technical visibility into the spacecraft's systems through telemetry, and huge computing and personnel resources on hand in case of problems, mission control became accustomed to nursing its crews and machines over the days of the coast to the Moon. It was then a bit of a wrench when some of the most critical events in an Apollo flight, particularly the entry into and departure from lunar orbit, had to occur with a 3,500-kilometre-diameter lump of rock obscuring the view. In future years, operations around the Moon might be supported by a telecoms satellite that will enable communications between Earth and crews operating around the far side. In the time of Apollo, there was no such luxury, and contact depended on line of sight to one of the three main ground stations distributed around the planet. But the engineers were not to be denied. On board each spacecraft was a multitrack tape recorder, the data storage equipment (DSE), whose function was to digitally record a suite of measurements from around the spacecraft, particularly the SPS engine, and replay them on a separate channel when communications were restored. As the spacecraft coasted past the Moon and was pulled around its far side, communications were instantly and completely cut off. NASA referred to this event as loss of signal (LOS) and it occurred with alarming predictability by virtue of the deep understanding the trajectory experts had of an Apollo's flight path. The first time it occurred was during the Apollo 8 mission, and Frank Borman found the accuracy of Houston's predictions awe-inspiring. At the precise time that he had been told communications would disappear, they did. Carr confirmed that that was what had happened. Borman probed further. ''Are you sure you didn't turn off the transmitters at that time?'' ''Honest Injun, we didn't,'' came Carr's joking reply. The thing about LOS and its counterpart, acquisition of signal (AOS), was that they were both highly predictable events. AOS, in particular, had the useful property of being entirely dependent on what occurred around the far side by way of engine burns. Thus, on Apollo 14, for example, the precise time that the spacecraft would disappear behind the Moon's western limb had been calculated to the second, as usual. 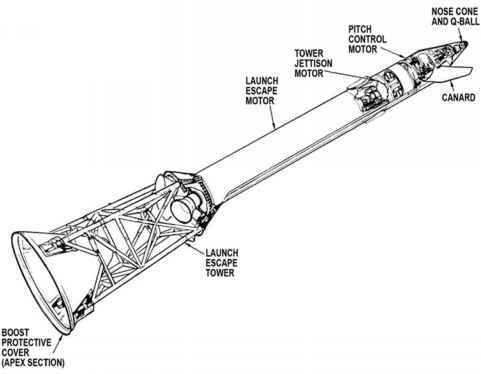 Additionally, mission control knew that if a problem had prevented the LOI burn from occurring for some reason, the spacecraft would not be slowed in its path and would reappear around the eastern limb only 25 minutes 17 seconds later, set on its hybrid free-return course towards Earth. On the other hand, if the LOI burn was executed as planned, the spacecraft, having been slowed, would stay out of sight and radio contact for 32 minutes 29 seconds. If the burn did occur, but was of the wrong duration or in the wrong direction, then that would result in an AOS time that differed from the expected moment. Any deviation in the burn from that detailed on the PAD would show itself by the deviation of AOS from the predicted time.